“The latest series of Lacelle™ Jewel is very appealing and will definitely suit the trends of the youths of today as it exudes out a fun and festivity mood to its users without deserting the most important factor of safety and comfort which makes Lacelle™ Jewel significantly one-of-a-kind”, commented Jake Kim, Managing Director of Bausch + Lomb, Singapore & Malaysia. The aesthetic factor is no doubt a very important aspect for coloured contact lens users and utmost definitely, Bausch + Lomb does not neglect the vital considerations of comfort of wearing the contact lenses when developing, improving, and designing their contact lenses. Due to the fact that the lenses contain pigment standards which is authenticated and certified by the FDA implies the safety precaution of ensuring protection to its users. 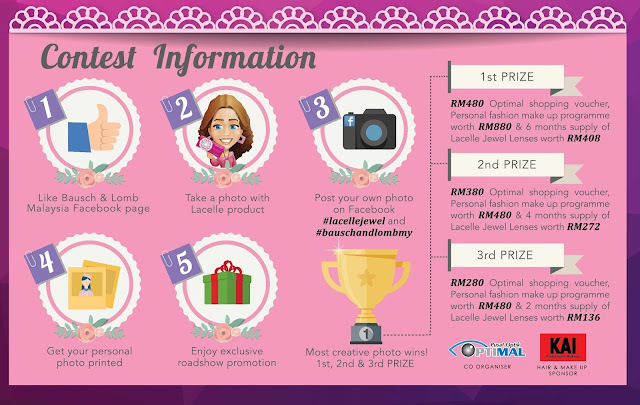 So worry-not with Lacelle™ Jewel series! The lenses are likewise resistance to protein deposits by the eye which makes it safe for application which in turn prevents uneasiness to the eyes towards end of the day. 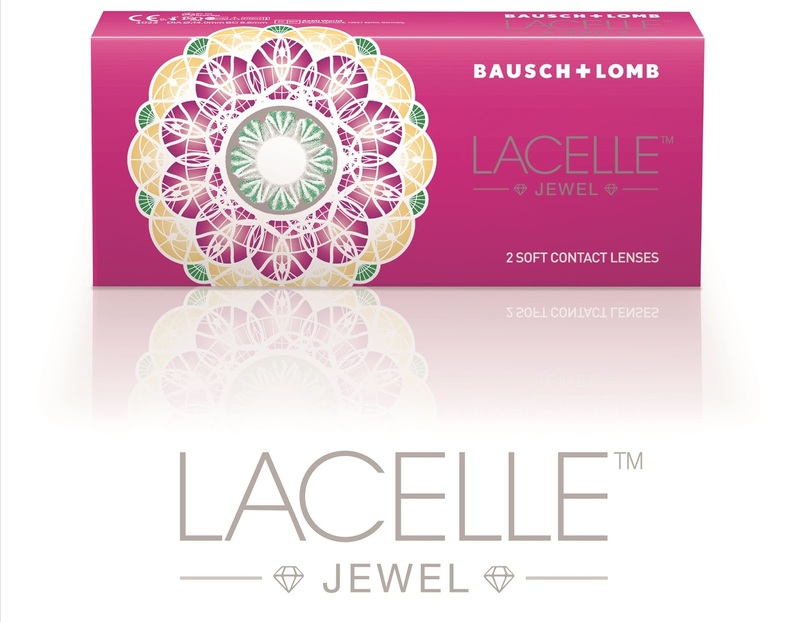 Lacelle™ Jewel lenses have been shown to be non-toxic and non-irritant to the eye as Lacelle™ practices safe colour additive. 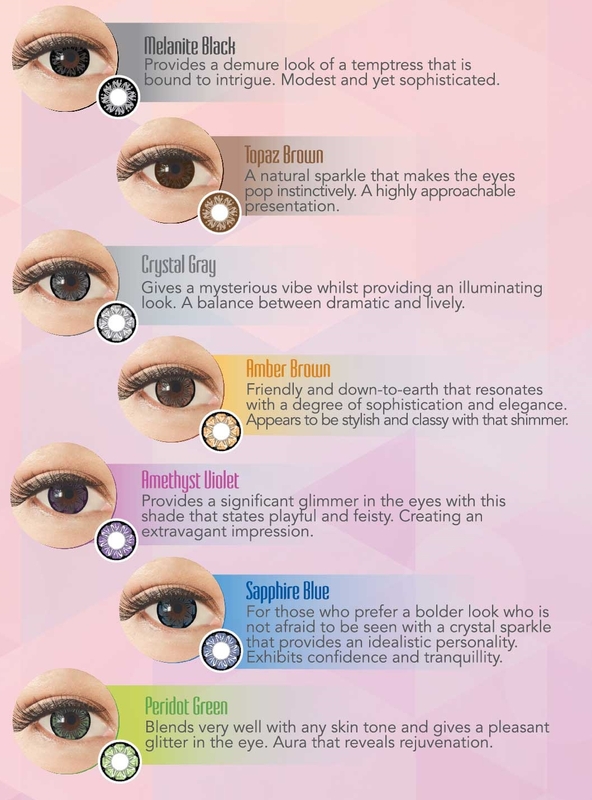 Lacelle™ Jewel contact lenses will be made available from 1st September 2015 at all major optical dealers. It is a new line extension to the current Lacelle™ and Lacelle™ Colours. Hi awakkk! Pika blogwalking ni.. Awak pun ada jugak ehh dekat event ni.. Heee..
dah try dah contact lens dia? Okay? While organizing corporate events, decide how much time to spend on Office activities and when it would be best to do them. If the activity is to be part of a team meeting, plan it for the appropriate spot on the specific meeting agenda.